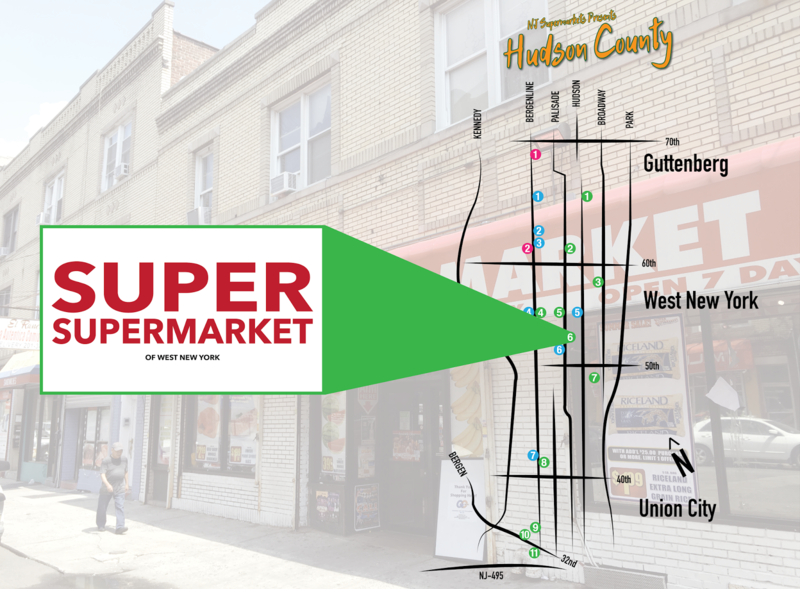 March has been an all-Hudson County month! 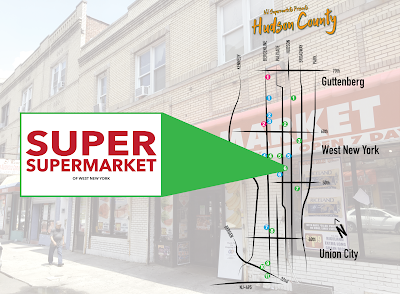 In the past month, we've covered fifteen stores in one way or another, not including today's tour. Today's tour, La Placita Food Market, is very different from most of the others we've seen so far. And it's also our first in Union City, the last of the three cities I visited! 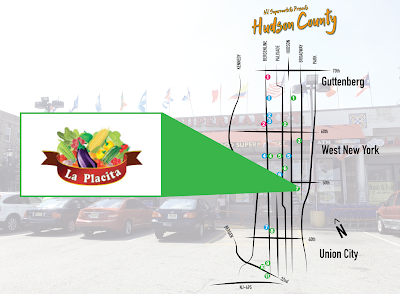 La Placita is a small Krasdale-affiliated chain with locations in Peekskill (sorry about the formatting, I don't know what happened there) and now Mount Vernon, among others. 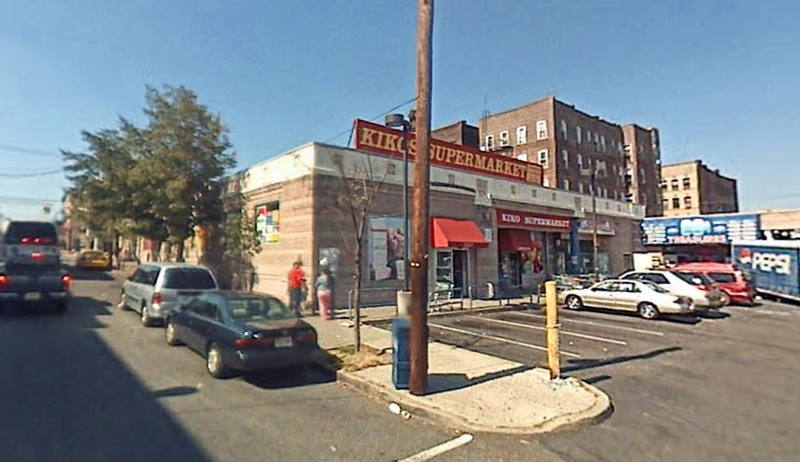 This location in Union City, NJ was previously Kikos 2 Supermarket (with the original Kikos within a few blocks of the Fairview Food Bazaar, and still in business). 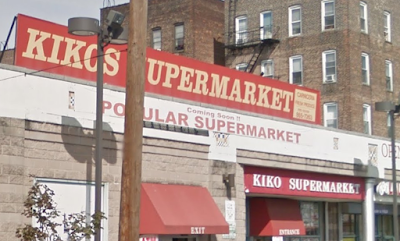 Kikos was scheduled to be replaced by Popular Supermarket, presumably the same one that owns/owned the C-Town in Passaic. I have no idea if that ever happened, but it's possible given the Supermarkets for Savings signs still around the buildings. Of course, that's a Krasdale slogan, so it could be from La Placita also. 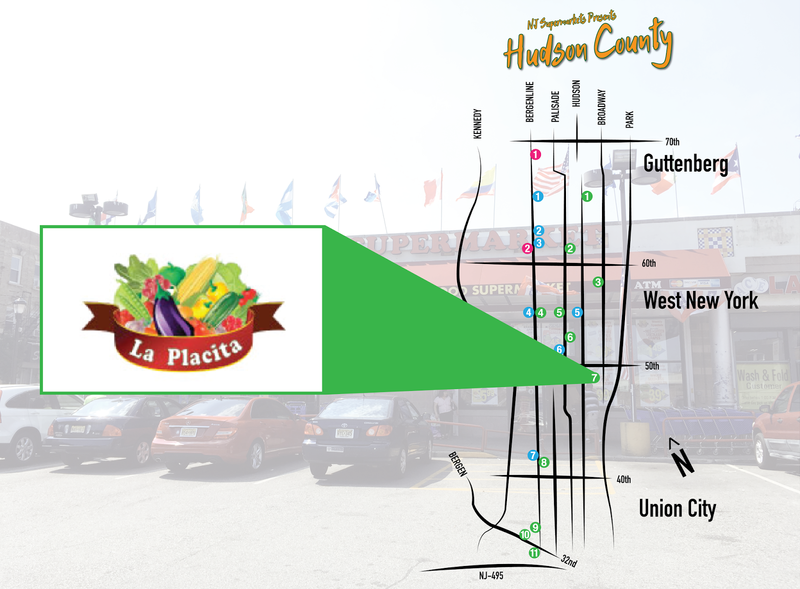 While I don't know exactly when La Placita opened (ca 2015), it still had its Grand Opening signage up in August 2017. Hard to tell whether it was ever a C-Town. Definitely looks like there could have been something else where La Placita is now. Especially with the high ceilings, which you wouldn't expect given the exterior. It's a small store, but well-stocked with the basics and some higher-end items. 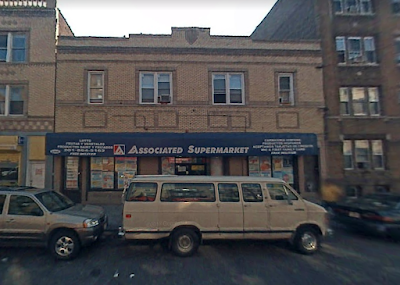 Being farther east (towards the Hudson River and, therefore, NYC) than most of the others, this store tends to get more traffic from the gentrified coastline sections than the others. The store is small but bright and clean. Here we're looking from the entrance across the front-end. Like others we've seen, this store is much deeper than it is wide. Produce and meat line the right-side wall, with service meat and deli along the back wall, and frozen/dairy in the last aisle. Great flooring. Dark gray tiles, and they look like polished concrete. This is the second aisle looking towards the front of the store. Brand-new shelving, lighting, and floor. Look how well-stocked that pasta section is! 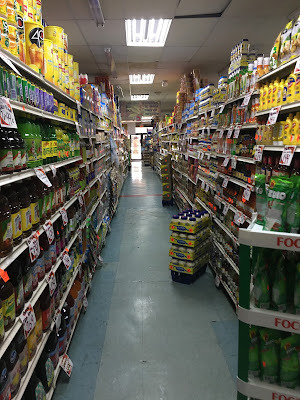 I think this is the third aisle, looking towards the back of the store where service meat/deli are. An overview of the whole back wall. In the back corner opposite the entrance is a bread/bakery case, even though the store probably doesn't bake on the premises. Great display. Better than some chain stores, even! Dairy and frozen are in the last aisle, lining the side wall. Notice the large windows along the side wall, which makes the store feel very bright. All-new cases, plus some fancier products like organic milk. A quick look from the front-end back towards produce before we head out. 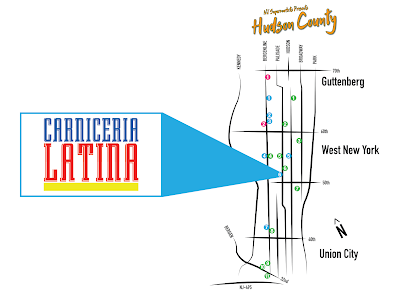 La Placita is (comparatively) big, bright, and spacious, and the slightest bit more upscale. It was a pleasant surprise and very different from what I had been seeing. It's definitely an interesting hybrid between the two communities that it serves. Heading just a block east of Fiesta yesterday is this Extra Supermarket, not affiliated with the Extra Supermarkets chain. 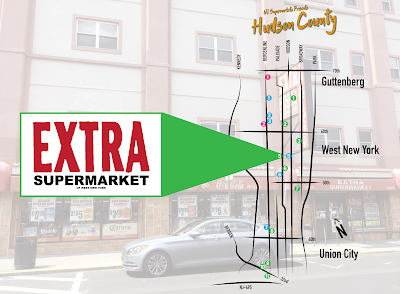 While that Extra is part of Retail Grocers and is supplied by General Trading Co. of Carlstadt, this Extra is supplied by Krasdale Foods. It's a member of AIM (the Association of Independent Merchants). 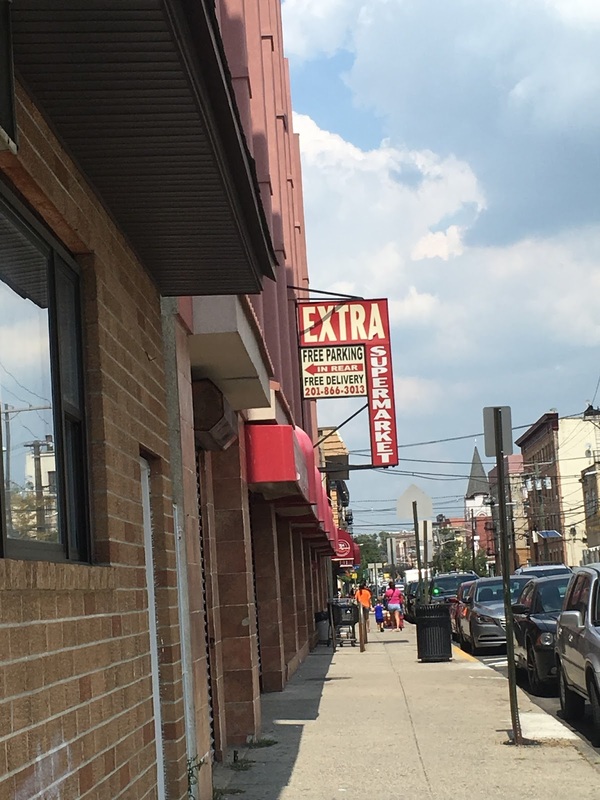 Extra is on the ground floor of what appears to be a large apartment building, and has a private parking lot in back -- rare for this area. 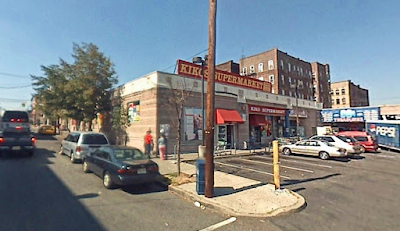 Palisade Ave, the road this store is on (pictured here), is certainly no Bergenline. It's a somewhat sleepy residential street, so it's unusual that a fairly major supermarket would be located on it. I'd love to know what this sign would have said; I doubt Extra installed it. Unfortunately we can only go back about ten years on Google Maps' street view. Anyone know what this was previously? The quiet street did allow me to get some photos of the storefront. The store is actually pretty large, and actually extends to the left farther than to the right, although the front-end is to the right. 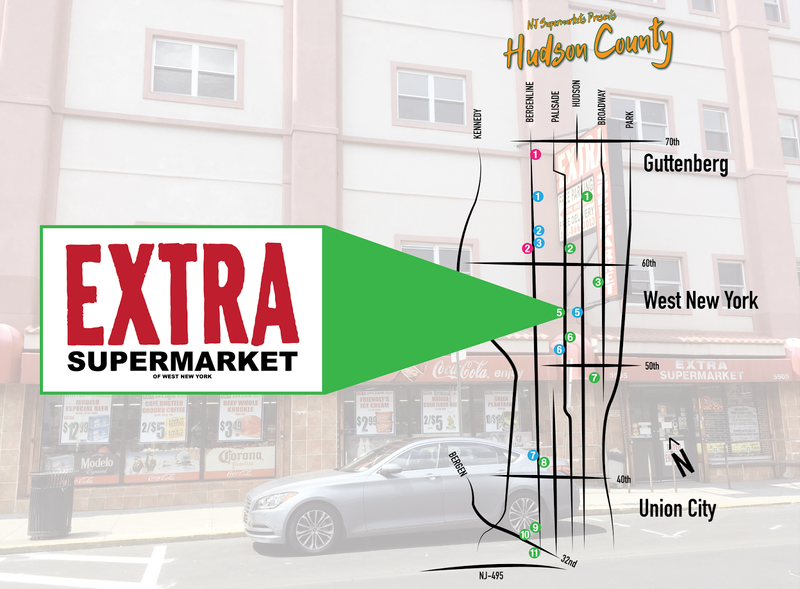 You enter under the "Extra Supermarket" sign on the right here and turn left to walk down the produce aisle, along the front wall. Meat, seafood, and deli are in a separate room (expansion) to the far left, with the remainder of grocery in the back of the store. Checkouts line the front wall to the right of the entrance. The layout is a bit of a maze, and my memory is kind of fuzzy on it. This hand-painted sign is hanging from the ceiling immediately inside the entrance. It says "Attention - Bags or packages are not permitted in the supermarket" (I don't know what it says under the red sign, which reads "Warning - Please do not use your personal cart for shopping, thank you"). The interesting thing is that although the store posts these rules, there is no place to check bags or carts (no security counter!). Presumably you'd have to go over to customer service...through the store with your personal bags, packages, and carts. The front wall of the store is to the left here. 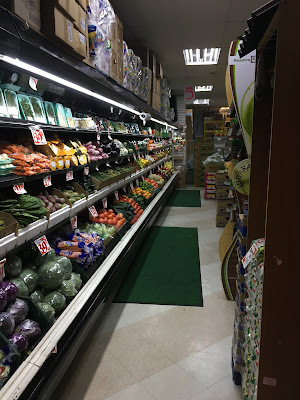 The produce department, which is pretty extensive, runs along horizontally. Grocery aisles are behind the refrigerator cases to the right. Past produce on the far side of the store is a separate room with deli on the front wall, butcher on the side wall, and seafood along the back wall. There is a doorway to the main store in the front and back. Seafood, which is probably a separate business, is in the far back corner. This expansion feels like a different store -- it's much brighter and more open, and the fixtures are new. The lighting here, as well as the rest of the store, is new LED. Packaged meats continue along the back wall of the store. Dairy follows in the back corner. Because the store has a private lot in the back, there is a register along the back wall for an entrance/exit there as well. The stand with the "2" sign tucked away back there is a register. The grocery aisles are fairly standard. Here we're looking towards the FRONT of the store from the middle. Produce is to the right. The floor is actually in great condition here. Looking towards the back wall in the same aisle. Dairy on the back wall. A small frozen foods selection, although I can't for the life of me remember where in the store this is. Maybe the last aisle, looking towards the front of the store? Looking up towards the front of the store. It's a very well-stocked store, and pretty clean, too. I think they do a very good business here. There are those frozen cases again! This is probably an aisle looking towards the back of the store. Once again, clean and well-stocked. Aha! I remember where this was. Front corner of the store; the brick wall with the Coca-Cola display is the side of the store. Registers are behind me to my right. What's with the heavy promotion of Coca-Cola here? The awning on the front had ads for them also. 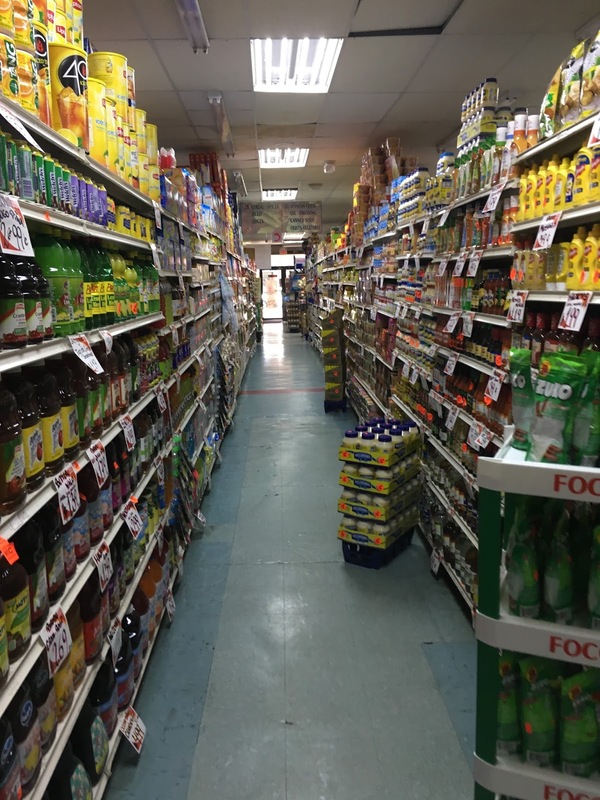 Typically, that's something you'll see on a convenience store or bodega more than a supermarket, especially a larger one like this. A tiny but extremely well-stocked customer service and HABA counter in the front corner opposite deli. A few registers continue along the front wall (to the right). Cool registers here! Does anyone recognize them from another store? It's unlikely they're custom-made for Extra. I liked Extra since it was larger than I had expected, and the whole store had lots of merchandise in a fairly small space -- even a full-service seafood counter. It's a very heavily-used store, I think.